Located in North Spain, Drone by Drone is mainly comprised of the merging of professionals in every single discipline necessary for getting and handing over high quality photos and recordings; our team is also highly skilled in IT. R&D is part of our philosophy: our aim is to take advantage of continuous technological innovations and to find new applications for aerial filming. Drone by Drone offers the best solution and provides just what the project and our clients require. 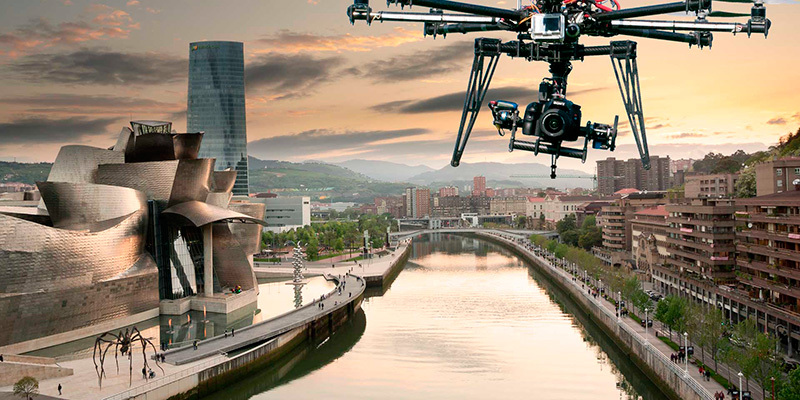 Drone by Drone is the first drone company approved by AESA (Agencia Estatal de Seguridad Aérea) in The Basque Country.